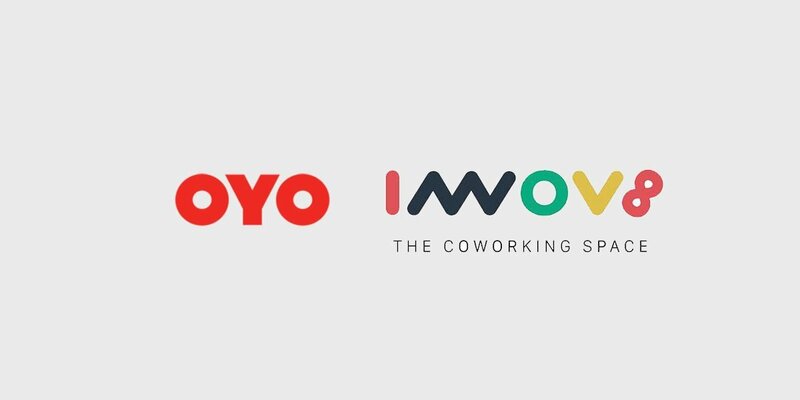 Full stack hospitality firm OYO has been in talks to acquire Innov8, a co-working company with presence in four cities in India. This acquisition will mark the expansion of OYO into coworking business. It already had made a debut in co-living space with OYO Living in June last year. “OYO would leverage Innov8’s capabilities to strengthen its foothold in the real estate industry with a new and targeted offering”, three people familiar with the matter said to Entrackr on condition of anonymity. “The deal has been in the negotiation phase for the past couple of months. Now, it has reached into advanced stage and will be announced early next month,” revealed sources. The amount involved in the deal couldn’t be ascertained. This is the fourth acquisition for the SoftBank-backed company. Previously, it acquired Weddingz, AblePlus and Novascotia Boutique Homes (now known as SilverKey). Three months ago, Innov8 had raised $4 million in pre-Series A round led by Credence Family Office. Previously, several bluechip angels including Rajan Anandan, Vijay Shekhar Sharma, Girish Mathrubootham and others had invested in the Delhi-headquartered company. When asked about the deal, both OYO spokesperson and Innov8’s co-founder Ritesh Malik denied any such development taking place. Currently, the Y Combinator’s 2016 Summer alumnus claims to have a 4,000 member strong community comprising of corporates, startups and individuals. While it charges $124 (Rs 7,999) monthly for a hot desk, dedicated desk costs $202 (Rs 12,999). With this acquisition, OYO becomes a full stack real estate leasing company. It has over 10,000 corporate customers and a network of over 8000 asset owners. The Ritesh Agarwal-founded company will now compete with the likes of WeWork, Awfis, BHive, GoWorks, and 91Springboard among several others. Looking at the expansion of OYO into allied verticals such as co-living, event management, and long rental Holiday Homes, its foray into co-working space isn’t surprising. In September last year, OYO had scooped up $800 million round from SoftBank for comprehensive expansion in India and outside, especially China. Two months later, it raised a $103 million strategic capital from Singapore-based ride-hailing major Grab. It also made a high profile hiring by appointing former IndiGo President Aditya Ghosh as the CEO for India and South Asia.